Tucked away in the small town of Atripalda, just 40 km east of Naples in Campania, are the renowned Mastroberardino Cellars. 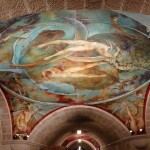 Inside, frescoes of mythological creatures grace the ceilings in the most vivid array of colors, fostering a strong feeling of this ancient land. The dynamic swirl of lyre-players, fauns and gods at the banquet of Bacchus captivate those who unleash their imaginations. 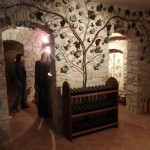 l had just arrived at the Mastroberardino Cellars in Altripalda. It surprised me to find it located right in the middle of town. Later I learned that the cellars were originally outside of the village, but with time the town gradually grew around it. Virginia, my tour guide, greeted me warmly as I stepped inside the building. 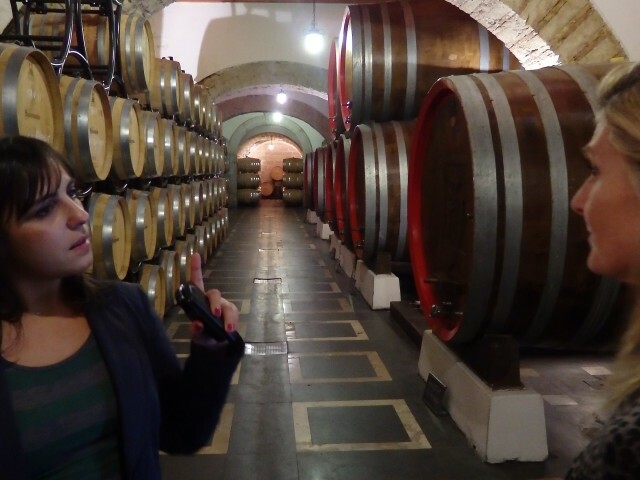 As we strolled through the cellars, she impressed me with her diverse knowledge of the Mastroberardino family history, the wines, and the Pompeii Project. I was immediately captivated by the mythical decor. Beautiful floor designs and lovely brickwork provided the most excellent backdrop for the rows of barrels, many of which hold the ancient wines once cultivated in Pompeii. 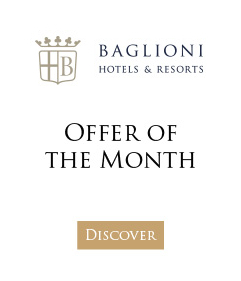 The patriarch of the family, Pietro di Berardino, established the winery in 1750. 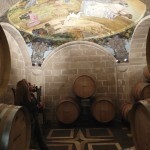 He was granted the title of Mastro for his superb winemaking abilities which eventually merged with Berardino. And so began the family name of Mastroberardino. 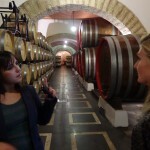 The winery was officially registered in 1878 by Cavalier Angelo Mastroberardino, making it Campania’s oldest winery. 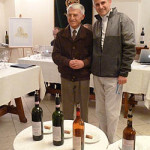 His son Antonio, who was the ninth generation, earned the title of being one of the grand masters of Italian wine making. Over time, land was purchased in various areas of Campania and Irpinia to cultivate the vines. In response to the economic devastation after WWII, Antonio fought hard to protect the area’s remaining ancient varietals. 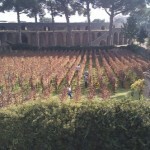 Afterwards, he earned the title of true viticulture archaeologist of Campania. 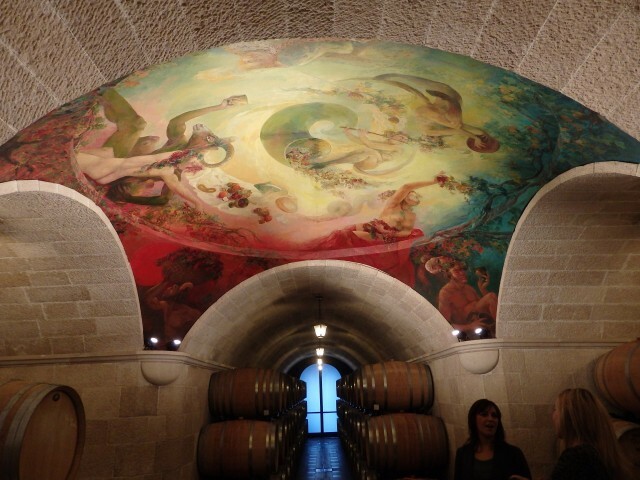 Today the winery is owned by Piero Mastroberardino who is said to be ‘an artist grounded in reality.’ He is also an accomplished musician and professor of social sciences at the university in Foggia. 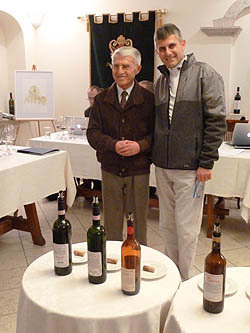 Piero is a man who proves very capable of running a successful wine estate. 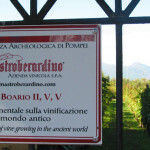 There are at least six varietals that the Mastroberardino wineries grow, all of which have a very long history with the land. Among them are the Aglianico, Fiano, Piedirosso, Greco, Falanghina and Coda di Volpe. The Greeks introduced vines to Campania around 800 BC, making it one of the oldest grape-growing regions in Italy. Hence the names Greco, from the word Greek, andAglianico, from hellenico (meaning Greek). 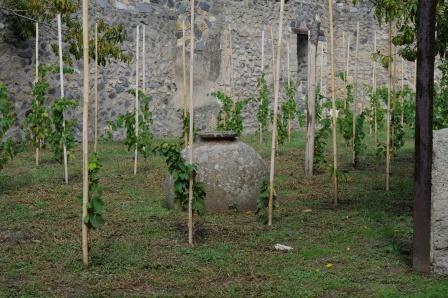 Of the 300 grape varieties known to grow in Campania only 15 of them are being cultivated today. 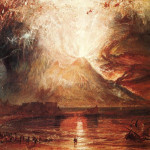 Prior to the eruption of Mt. 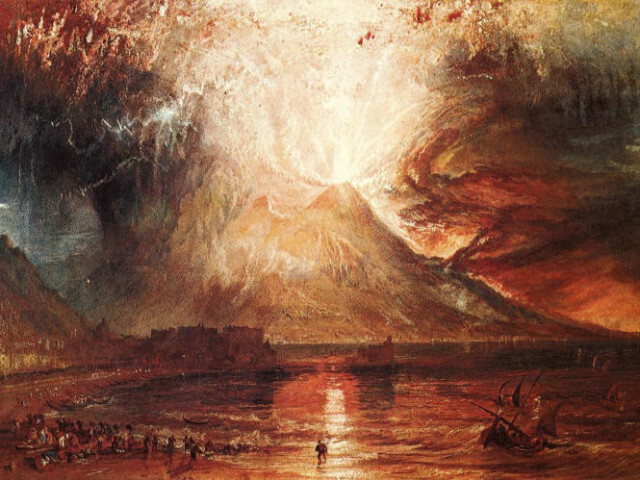 Vesuvius, Pompeii was an important trading center with Rome and the Roman provinces abroad. 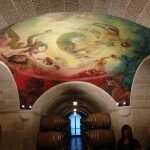 Vineyards and cellars abounded in and around the city as major suppliers of premium wine. It played a huge part in the culture of Pompeii, giving residents a widespread reputation for their wine drinking capacity. In 1996, Mastroberardino was appointed by the archaeological superintendent of Pompeii to conduct extensive research in an on-site laboratory. 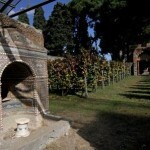 The goal was to discover the original grape varietals and winemaking techniques used in ancient Pompeii and explore their potential today. Excavations, botanical studies, and the discovery of casts of vine roots and their support stakes confirm just where and how the vines were grown. The writings of ancient Roman historian Pliny the Younger (whose uncle Pliny the Elder also witnessed the destruction of Pompeii but died trying to help the wounded) have been examined along with wall frescoes among the ruins to identify the specific varietals. 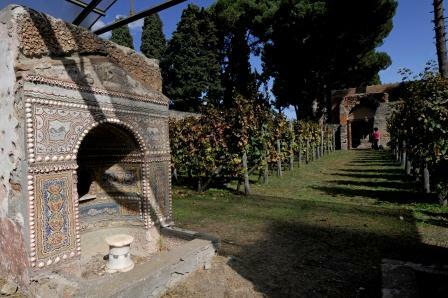 The gardens and orchards grown within the villas show evidence of vine cultivation as well as around the amphitheater on the outskirts of town. 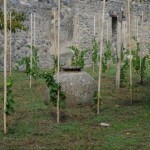 The project of recovering the ancient techniques of vine growing and to reintroduce them to Pompeii has proven successful. 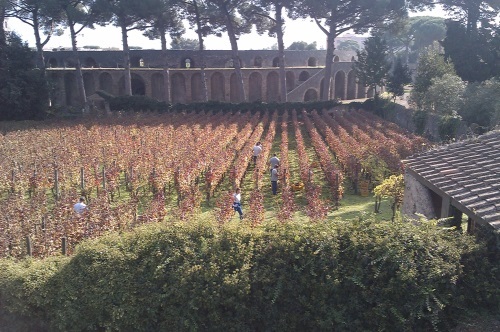 Vines from the ancient Piedirosso, Sciascinoso, and Aglianico (a recent addition) grapes have been planted in the same areas cultivated with the vineyards of antiquity. These vines are grown on Mt. 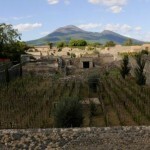 Vesuvius and adapted best to the soil in Pompeii. The first highly anticipated vintage of 2001, named Villa dei Misteri, produced just 1,721 bottles which were all sold at auction in Rome. All the proceeds went back into the Pompeii Project. 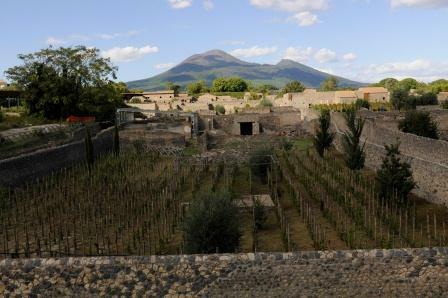 Today, the total vineyard area in Pompeii has grown to 1.5 acres and is divided into fifteen plots. 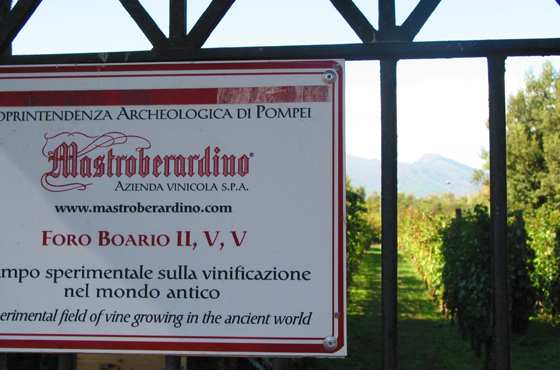 Mastroberardino is the only winery that has been planting experimental vineyards using ancient traditions in several locations within Pompeii. The resulting grapes have been used in several of their bottlings. But it is not the same wine that the ancient Romans drank, which was nasty and had to be flavored with honey and other additions to make it drinkable. Thankfully, Masrtoberardino remains committed to using contemporary winemaking techniques. 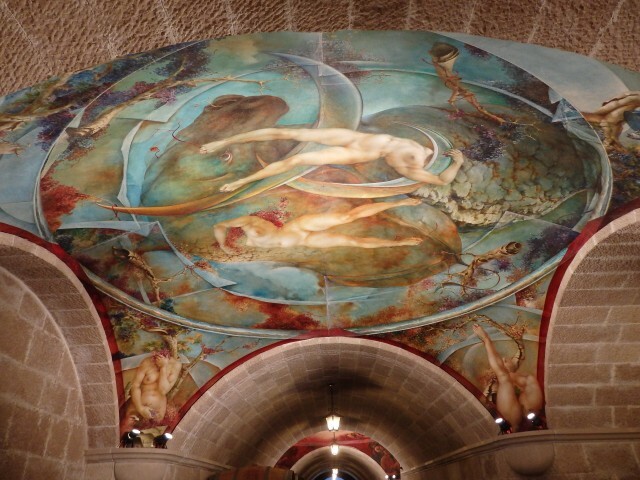 Back at the Cellar, we wrap up our tour…. 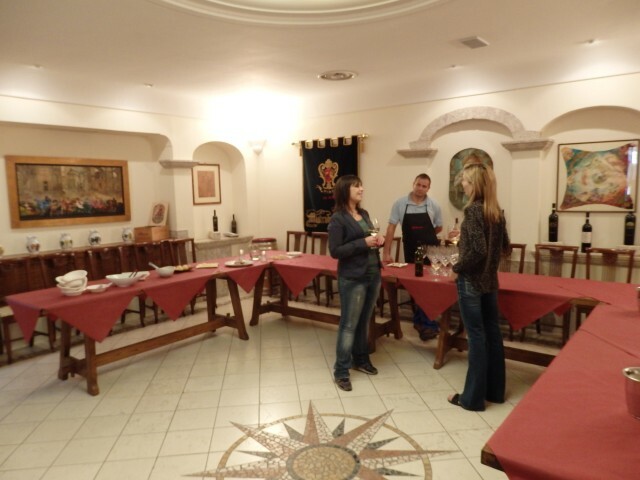 A delightful meal of native Irpinian foods along with wine tasting awaited us at the end of our tour. It was delicious! 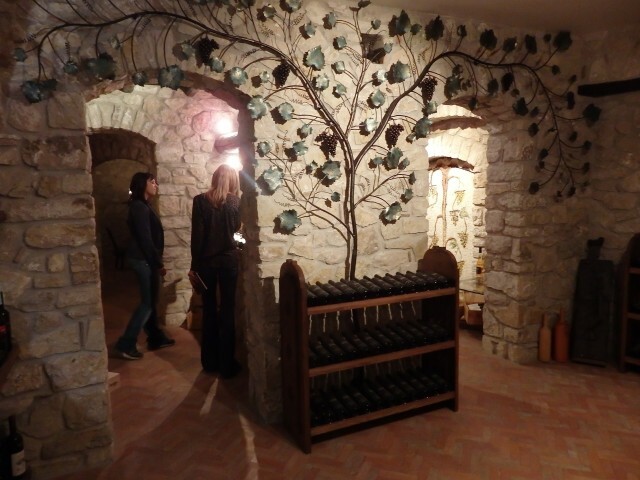 Concierge tip: After visiting the Mastrobernardino Cantina in Campania, you might wish to continue your wine tour to discover the secrets of Italian wine in other regions. 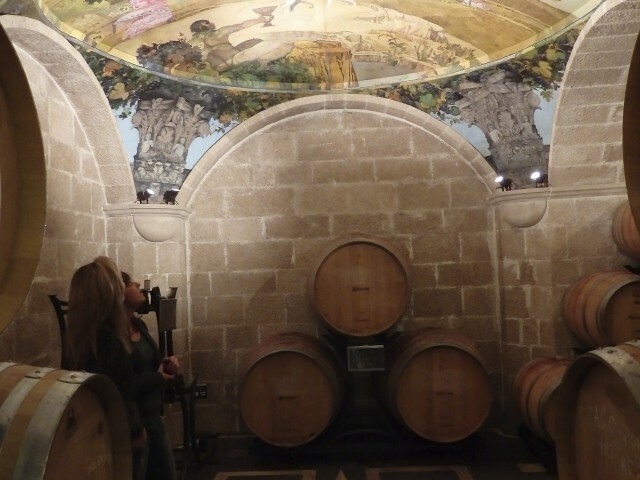 If you head to Florence for example then the concierge at Relais Santa Croce can advise on other great wineries to visit in Tuscany including the fantastic Antinori Cantina and Rocca di Frasinello which were previously featured on Italian Talks. UNESCO has warned the Italian government that unless action is taken, the ruined Roman city of Pompeii might go on the 'heritage in danger' list.